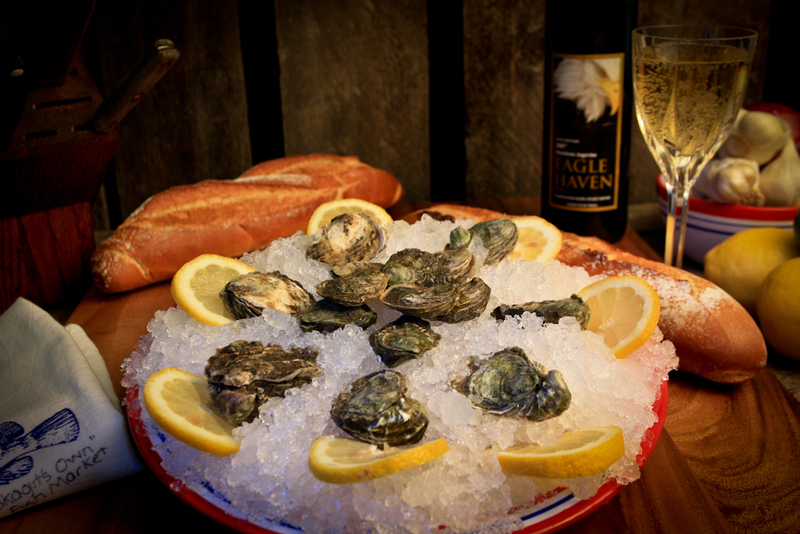 Olympia oysters have a sweet, metallic, celery salt flavor with a copper finish. Olympia’s are most communally eaten raw. When the explorers, Lewis and Clark, finally made their way into the great western interior and the safe shelter of Puget Sound, they feasted on what seemed to them to be an inexhaustible supply of giant salmon and incredibly small oysters. They were truly impressed with both, and rightfully so. The mighty Olympia oyster – the true native oyster of the west coast – takes at least three years to grow to the size of a “four-bit” piece and demands a great deal of attention from its growers. Still, they are well worth the trouble to grow, and Taylor Shellfish continues to be one of the world’s largest suppliers. Through careful risk assessment, the first time raw oyster eater often chooses the diminutive Oly to experiment with and naturally “progresses” to larger varieties. After developing a more sophisticated taste, however, the haughty half-shell lover always humbly returns to his or her first slurp – the mighty Oly!